Bryan Tagarao (Awra Briguela) struggled throughout his childhood but always fought through with humor and grace. Even though teased as ugly and for being gay, his beautiful persona shone through. The Cagayan de Oro native had a hard time fitting in, even though he comes from a family of comedians. At home, life was taken very seriously. His father Romeo (Bembol Roco), prevented him from being openly gay. Bryan was bullied so much for being gay and different, but he showed that he was more than his friends characterized him. He gave up his own education so he could help his family, and eventually became the breadwinner, selling corn and burgers, and working as a janitor. As an adolescent, Bryan struggled even more with trying to appear more “manly” for his family to make his family proud of him. But he fought his insecurities and became Boy Band PH’s personal assistant. At 21, Bryan came out and decided to embrace his gender identity. When he learned how to cross-dress, “Brenda Mage” was born. As Brenda, he got acting jobs in indie films and became an entertainer in Japan. He also started vlogging, earning better money for his family. Brenda started earning bigger when he was invited to perform at comedy bars. His family have been supportive, especially his mother, and he has gained the respect of his father in the process. 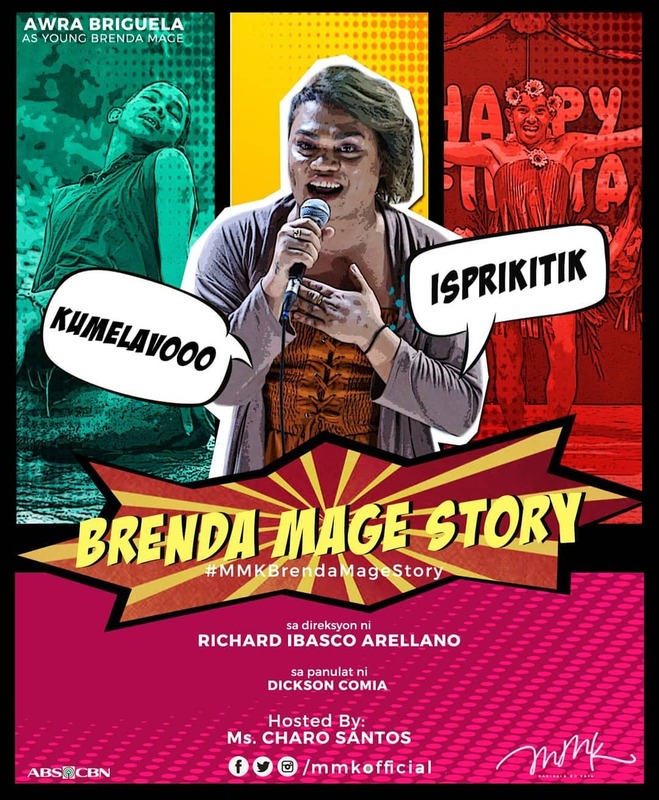 Eventually, Bryan was crowned “It’s Showtime’s” Miss Q and A InterTALAKtik and reigned even more in her personal and professional life. Bryan showed that no matter how society treated one unfairly, one must stay strong to achieve one’s dreams. Also in this episode are Tanya Gomez, Jayson Gainza, Danita Paner, Paolo Rodriguez, Via Antonio, Kitkat and Mj Cayabyab. It is under the direction of Richard Arellano and written by Dickson Comia. Don’t miss the longest-running drama anthology in Asia, “MMK,” every Saturday on ABS-CBN. For updates, follow @abscbnpr on Facebook, Twitter, and Instagram or visit www.abs-cbn.com/newsroom. Terima Kasih Telah Mengunjungi Website Ini Check Out Our New Products !